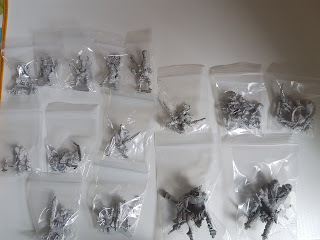 Today I received the miniatures from The Pantheon of Chaos Kickstarter Campaign. On top of my Sons of Horus, expanding my Chaos Warband is what I plan to do this year. The miniatures are wonderful and I can only encourage you to participate in any future kickstarter organized by Diego.